It’s that time of year again when Thanksgiving is right around the corner. A day of eating into oblivion and watching football or at least having multiple football games stream across the TV from sun up to sundown. Snore. I also think of the Seinfeld episode of Jerry and George eating more than enough Thanksgiving Turkey, drinking red wine and passing out is a great depiction of Thanksgiving. But, it is also a time when we give Thanks. Somehow, as I write that statement, I think about Valentine’s Day, considered the day of Love. I have a difficult time thinking that certain days out of the whole year are designated for certain emotions. Halloween is for fear and horror, Thanksgiving, being thankful, Christmas / Hanukah : Universal Love, Compassion and Rededication, New Years: Joy and renewal, Veteran’s Day for pain and remembrance etc. What about the rest of the year? Is it too much to practice gratitude for a year? 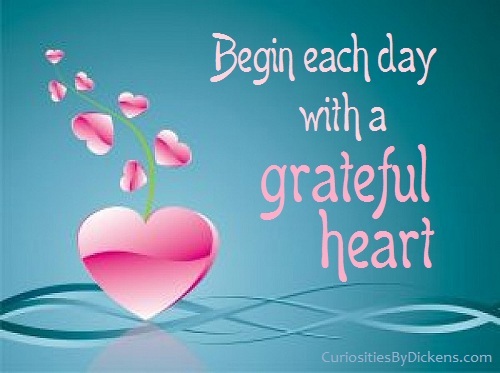 What would the world look like if we all practiced gratitude on a consistent basis? What would the news look like? Most important, what would your life look like?